I had the honour this year of printing some very special books of Yeats poetry which mark Yeats2015, the year-long celebration of the 150th anniversary of the birth of William Butler Yeats. 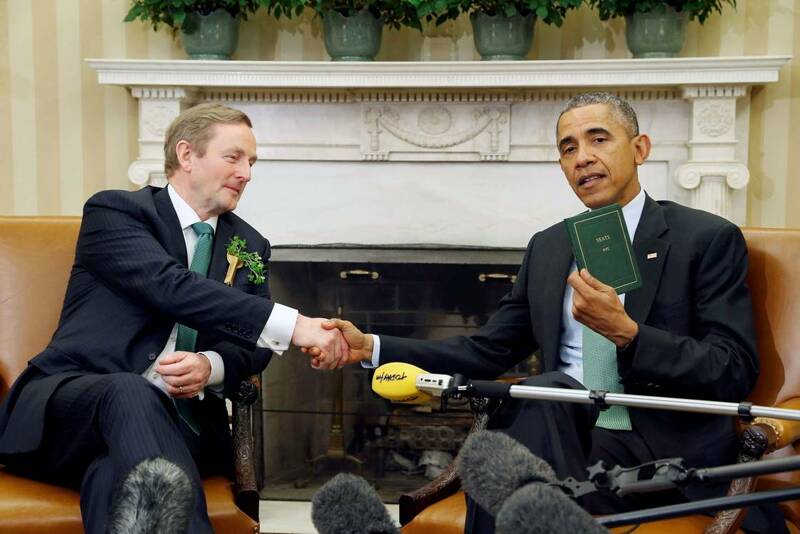 The books were presented to President Barack Obama and Vice President Joe Biden by An Taoiseach Enda Kenny in Washington DC to mark Saint Patrick’s Day. The commission was brought to me by Senator Susan O’Keeffe, Chair of Yeats2015. Each book is 20 pages and contains a different selection of 12 poems by WB Yeats, set in 12pt Caslon with titles in 18pt Caslon Italic. The selection of poems in each book was chosen by Senator O’Keeffe and Professor Margaret Mills Harper. 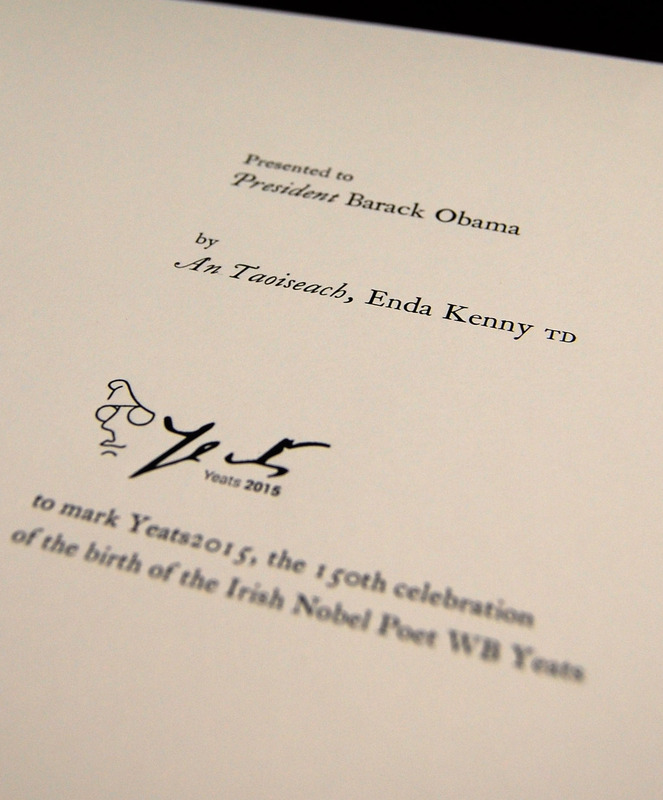 The intention of Yeats2015 is to commemorate the entire Yeats family – Jack, Elizabeth and Susan and their father John – as well as the Nobel prize winning WB. It is with this in mind that the design of the books is inspired by the publications of the Cuala Press, which was run by the Yeats sisters, also known as Lily & Lolly. Each book has a unique title page with a personalised dedication. They were printed on Zerkall mould made paper on an Arab treadle press at my workshop in Rathmines, Dublin. They were then bound in goatskin and embellished with gold and blind tooling by Benjamin van de Wetering of the Ox Bindery, based in the Ox Mountains outside Tubbercurry Co. Sligo. I am currently coming to the end of another project for Yeats2015: a 12 page book of Yeats poetry which contains five poems and two linocuts. This is also quite special but is in a far larger edition of 400. These projects have been supported by Yeats2015, the Western Development Commission, the Department of Arts, Heritage & the Gaeltacht and the Design & Craft Council of Ireland. It was while preparing for this larger edition book that Susan began to talk to me about the ‘special books’ and they remained described as such for a number of months before she let me in on the secret of who they were for! It has been a fantastic experience and an honour to design and produce something that is presented on behalf of the country and commemorates the Nobel prize winning poet. 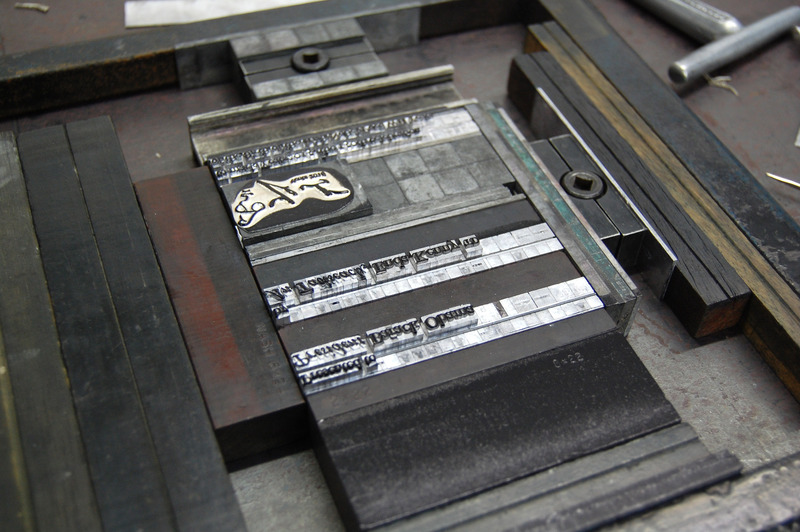 I’m hoping to do a letterpress course with you in NCAD this year and have just emailed them. I’m just wondering about purchasing an Adana machine and would greatly appreciate it if you could point me in the right direction. Other than that keep an eye out online – briarpress.org eBay britishletterpress.co.uk – you may be lucky and find one in Ireland which will reduce the cost of shipping! Hope to meet you in January!